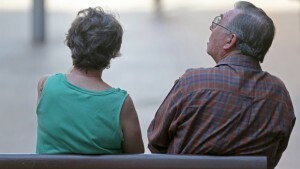 30% of retired baby boomers are living below the poverty line. They have no way of augmenting their income and only receive government pension which is not enough to live on. These people did not receive a company pension nor did they save enough money to last well into their retirement years. As well many people are living longer than most people expected. Retirement plans looking great is not reality for many people. They only have government pensions to rely on. Many baby boomers have found that they have to move in with family to survive. Moving in with your children is one option, and with brothers or sisters is another option, downsizing and moving in with friends is another option. If you’re still working now is the time to stress test your retirement savings plan. Work with a financial analyst or financial adviser to figure out how much money you can save for your retirement, how long it will last and how much you can expect to receive on a monthly basis. Planning to work into old age is not a good plan. There are too many things that can get in the way of being able to work well into your retirement years. For example health issues get in the way, being laid off gets in the way, not being able to find a job as well is a major obstacle. Stress test your retirement plan today and figure out just how much money you need to save.